Dominoes may not be used for fortune telling as commonly as tarot cards, I-Ching, runes, or even playing cards, but they are a fun alternative to the norm. 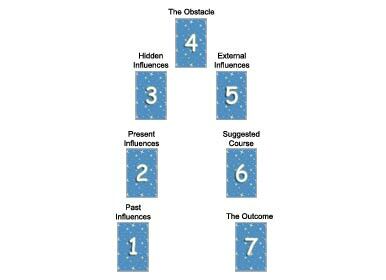 Since this online oracle does not include reversals for the dominoes, there are only 28 domino interpretations that can come up - the smallest number of any of the oracles on this site which employ the use of the story-telling layouts. 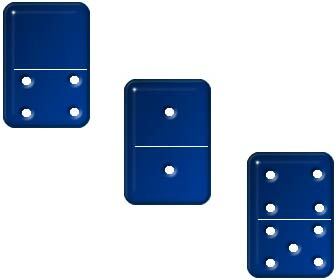 To do domino readings at home with an ordinary set, one would mix them up, most likely in a convenient cup or bag, pulling them out one by one and putting them into the form of the chosen layout. Ironically there are almost as many domino layouts on the site as there are dominoes in the set, as we use the same layouts for each online oracle that we do when reading the tarot cards and rune casts. In case you are new to the site, you should probably learn about these layouts before proceeding with the readings. Various layouts have been compiled in order to answer all kinds of questions, whether about specific things such as romantic relationships, personal development, or career ambitions. Many layouts such as the Cetic Cross have a broad focus, making them good for almost any kind of questions you can come up with.